Home » Blog » Take a Second Glance! 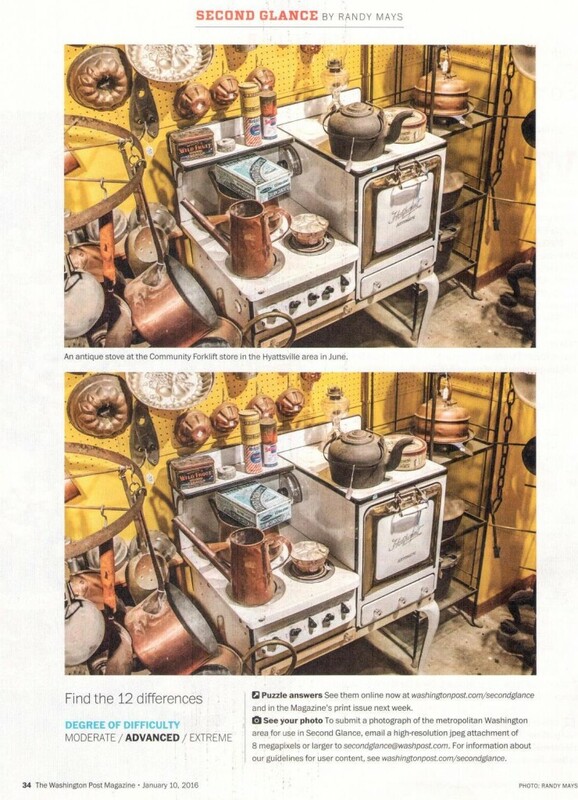 Did you see us in the Washington Post Magazine this weekend? Randy Mays took a photograph of the Salvage Arts room in our warehouse, and used it to create the Second Glance puzzle. Click on the picture below see if you can solve it!